A good standard for a 1 star hotel with easy connection to the city centre. 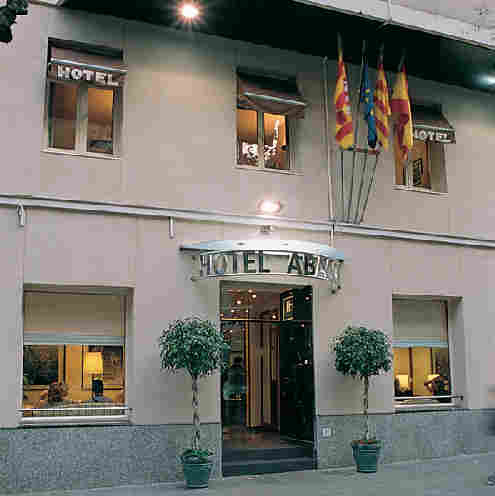 This hotel is situated on the modernism route, close to some of its most outstanding examples as the Sant Pau Hospital, Park Guell and the Sagrada Familia. Approximately 10 minutes by taxi to the old town. 2 kms to city centre20 kms to the nearest airport (barcelona airport)3 minute walk to the nearest metro station (hospital sant pau)4 km to the nearest station (pg de gracia)2 minute walk to the nearest bus stop4 km to the nearest fair site (fira de nostnes)3 km to the nearest beach. Rooms are of various size from medium to small, a bit dated and basic but functional and clean. All full equipped with an en-suite bathroom, direct telephone line, TV, air-conditioning & heating, safety box and hair dryer. Triple rooms available. There is not a restaurant but a breakfast room serving cold buffet and decorated on a contemporary style. Modern building block very well maintained.